The UN Environment’s Single-Use Plastics: A Roadmap for Sustainability report looks at more than 60 case studies to come up with a number of recommendations to curb plastic pollution and combat an escalating problem that “we are already unable to cope with”. 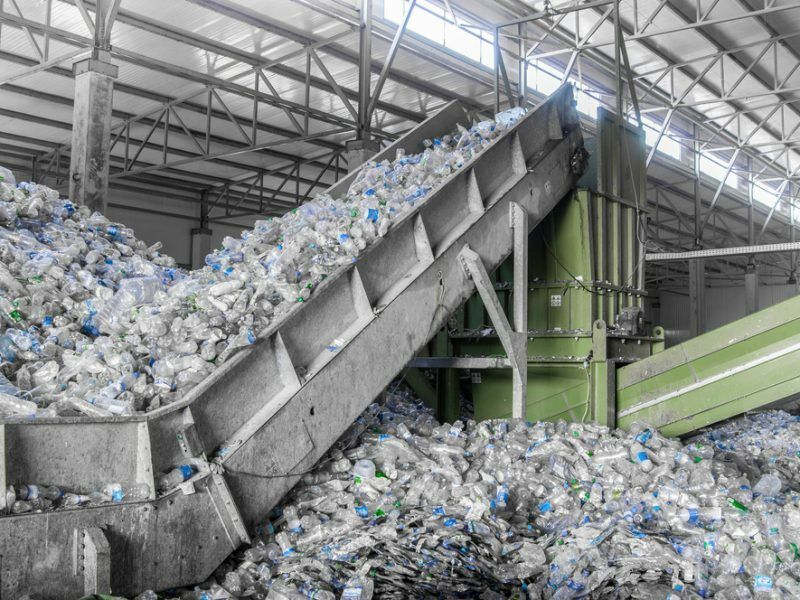 The scale of the problem is significant: the report says that only 9% of the 9 billion tonnes of plastic ever created has been recycled and that if current trends continue, that figure will reach 12 billion tonnes by 2050. According to the Ellen MacArthur Foundation, without mitigation efforts, plastic will outweigh all the fish in our oceans by mid-century and estimates now show that there is a 1:2 ratio between plastic and plankton, a vital food source for a lot of marine life. The report named cigarette butts, plastic bottles, caps, food wrappers, grocery bags and lids as the main single-use plastics found in the environment and lauded plastic bag bans as one of most effective ways to make a difference. Bags are particularly problematic because they can block waterways, clog sewers and provide breeding grounds for disease. There are countless cases of large marine animals ingesting them, which often leads to death. 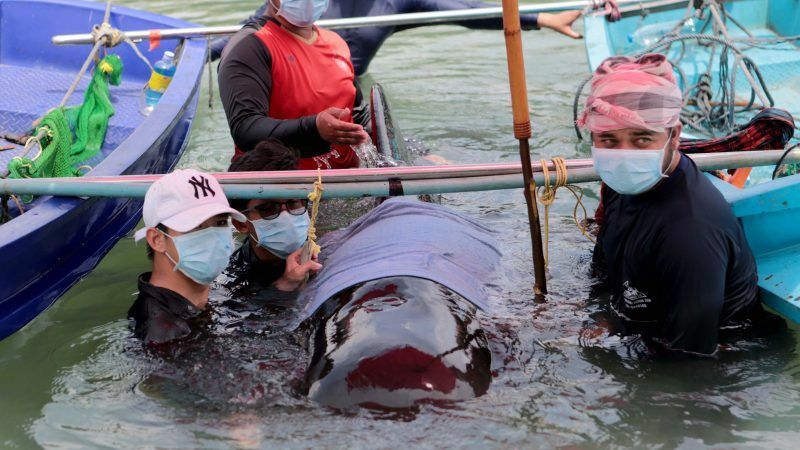 Last week, a pilot whale died in Thailand after eating 80 bags that weighed a total of 8kg. Local activists were unable to save the mammal, which reportedly began vomiting plastic shortly before it died. 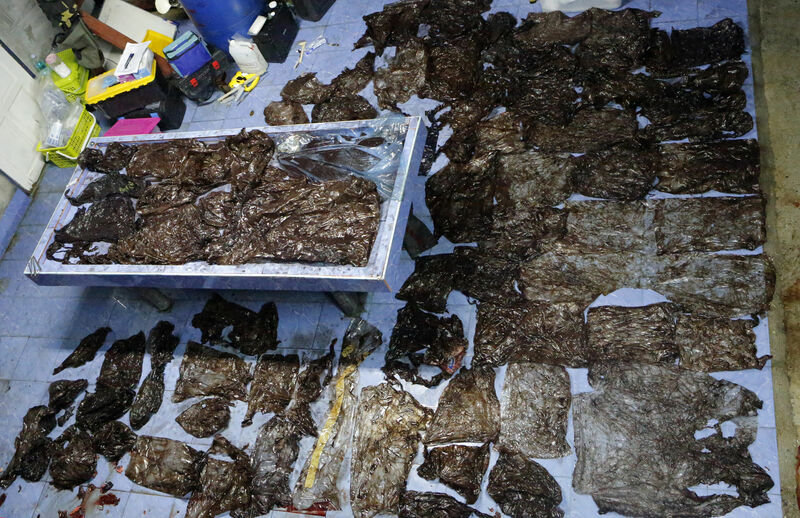 A handout photo made available by ThaiWhales.org on 3 June 2018 shows the total 80 pieces of plastic bags were found in a stomach of Short-Finned Pilot Whale after an autopsy in Songkhla province, southern Thailand, 1 June 2018. In the EU, a new law requires the member states to ensure by the end of 2019 that no more than 90 bags are consumed per person, before the target drops to 40 per person in 2025. The bloc currently uses about 100 billion bags a year and capitals can choose how to best bring numbers down. 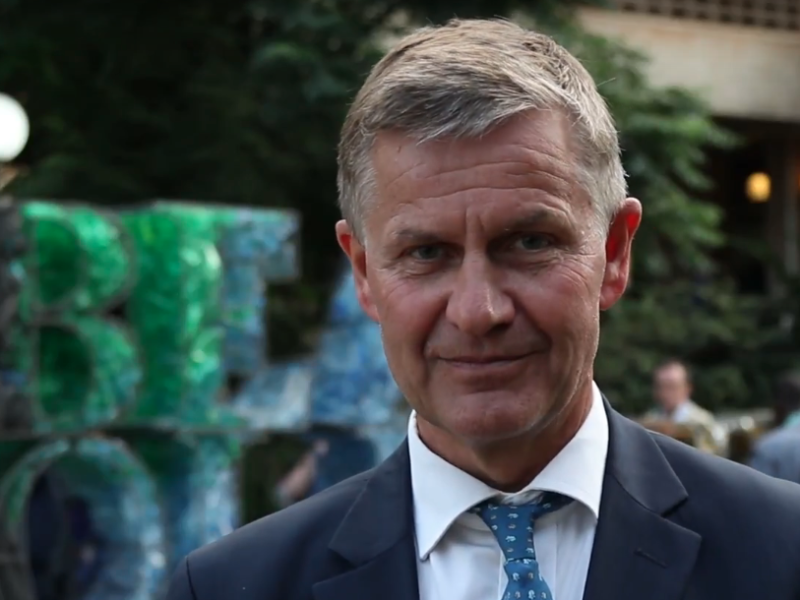 UN Environment chief Erik Solheim said in a statement that “plastic isn’t the problem. It’s what we do with it”, adding that “mass awareness” about alternatives is sorely needed. 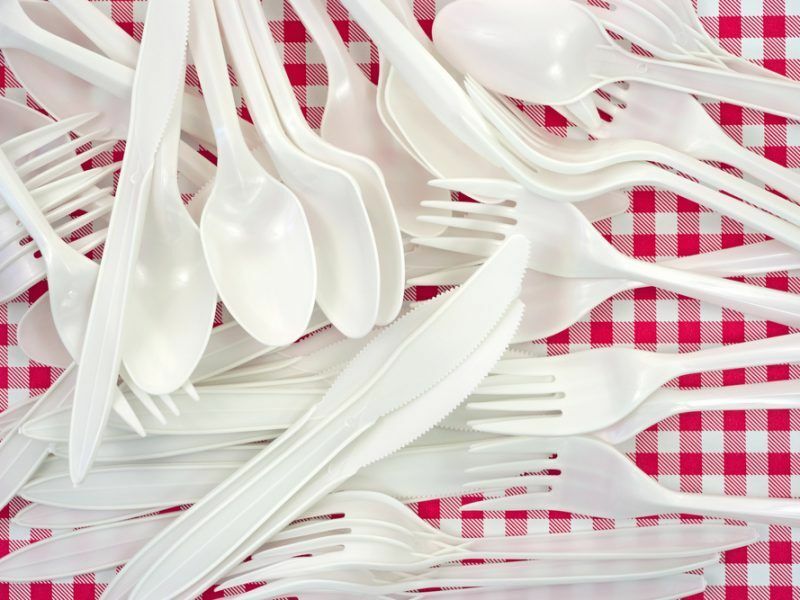 Although the UN report admitted that “it is too early to draw robust conclusions on the environmental impact of bans and levies”, it pointed out that more than 60 countries have already introduced them in efforts to tackle single-use plastics. Data gathering is problematic and half of those countries either do not collect information or have only just started. Nearly a third of those that have collected data say plastic bag consumption dropped drastically in the first year. 20% said there was little to no change. The report suggested that in the countries that have registered no impact, lack of enforcement and a viable alternative could be to blame. In countries like Rwanda, there have been reports of smugglers bringing plastic bags into the country, sometimes strapped to their bodies. In the lead-up to the European Commission’s publication of its Plastics Strategy in January, there were rumours that the EU executive would consider putting a tax on plastics, partly as a measure to plug a €13bn hole in the budget that will emerge after the UK leaves the bloc next year. 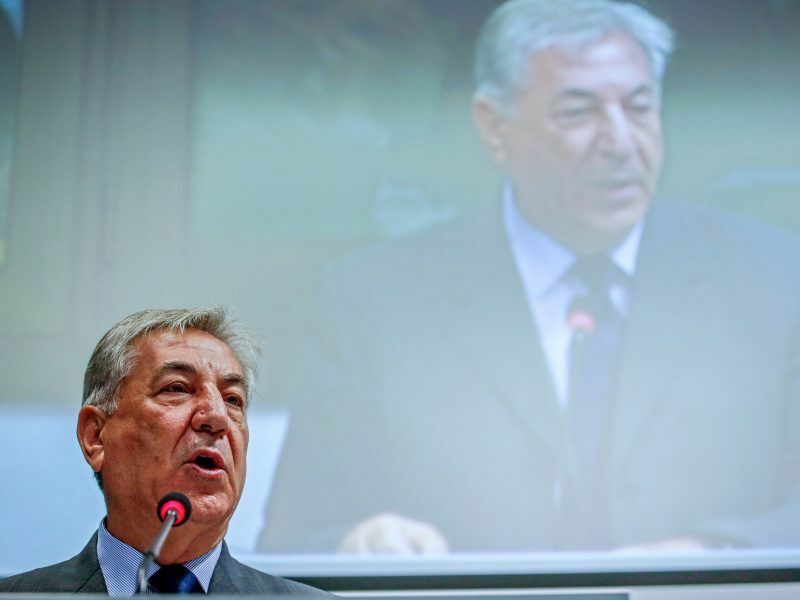 But although a “well-designed” tax was mooted by EU environment boss Karmenu Vella and heavily backed by budget chief Günther Oettinger, the idea fell by the wayside. But using the data that is available, the UN came up with a ten-step roadmap to tackle plastic pollution, including sharing best practices, engaging consumers and industry more effectively, promoting alternatives, monitoring measures and using revenues from levies to help the transition. In particular, the report also mentions economic incentives as a way to promote environmentally-friendly alternatives, including tax rebates, R&D funding and the reduction or elimination of taxes on import materials needed to make the products. But sustainability campaigner Ariadna Rodrigo told EURACTIV that the current incentives “are not working” and insisted that a new wave of so-called extended producer responsibility schemes (EPRs) are needed in order to “design waste out of products” and implement a ‘polluter pays’ regime. Both Solheim and the report itself acknowledged that there is no single solution to the problem, due to the vast differences between global regions. It is estimated that two billion people do not have access to recycling facilities.